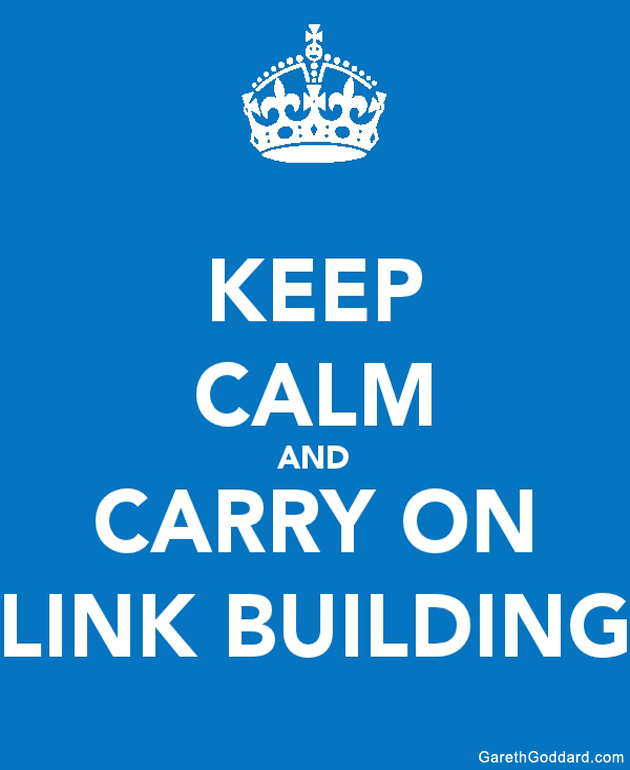 Link building has been a fundamental part of SEO since the inception of the discipline, has hard as it has become to get quality links is equally how valuable they have become. 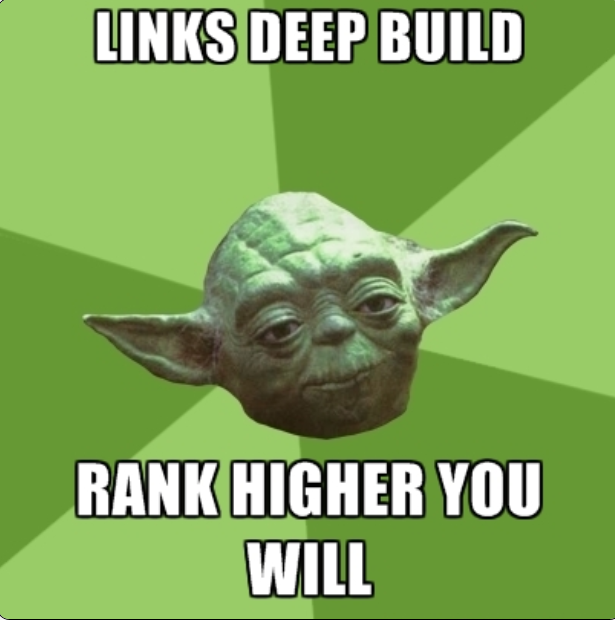 A link builders day is never done, trying to find quality links, from a variety of domains with high authority, diversifying your links across as many C blocks as possible. Then there's looking at your link profile and making sure you're gathering a good mix of follow and nofollow links for your site and of course the golden unicorn, branded and contextual link building. 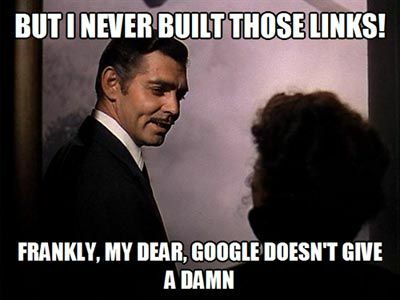 Let's face it link building is hardly fun for most of us. 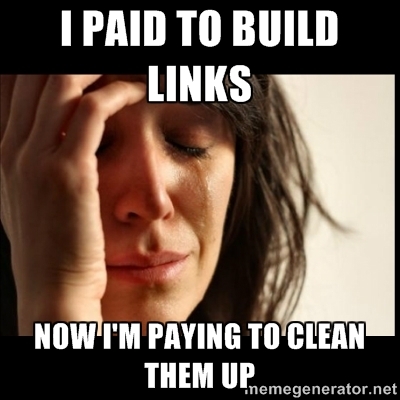 If you've dabbled in SEO and attempted to build links you will find some of the following pain points hit really close to home. 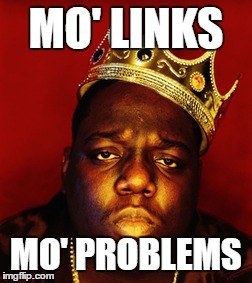 We would like to let you know you're not alone so we pulled together the best memes that take the mickey out of link building, so sit back, scroll down and enjoy! 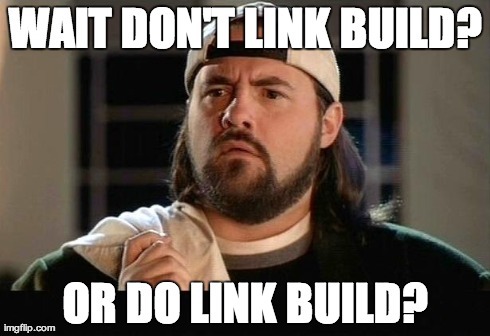 You should always link build my friend. 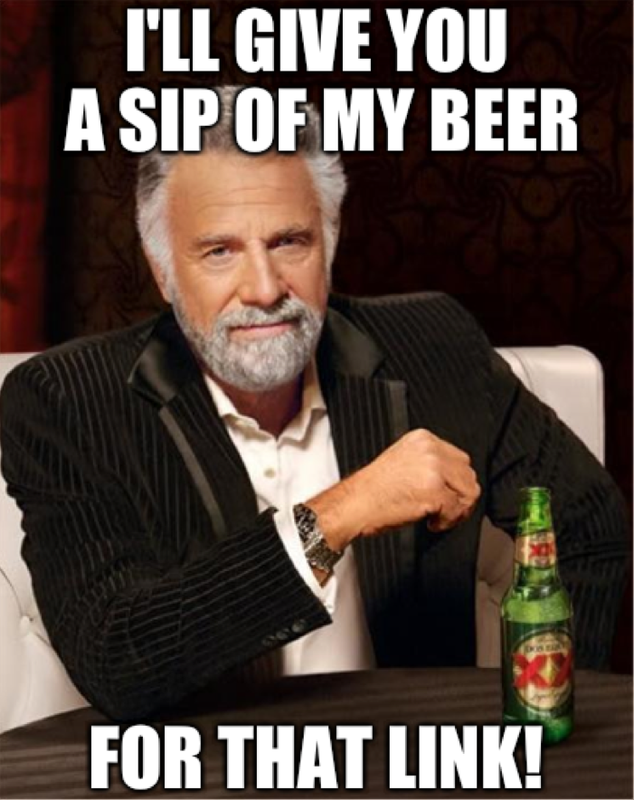 If you're still feeling like Silent Bob, listen to Ron. The harder it's becoming the bigger deal it gets, and yes link building is pretty big in Japan. 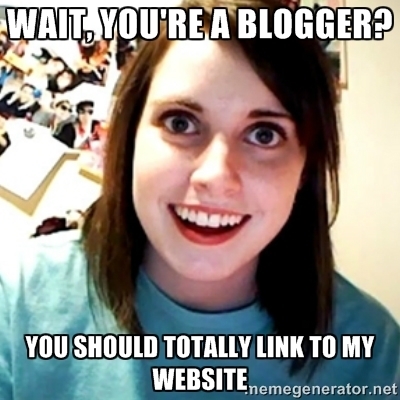 Link builders are the most qualified internet stalkers out there. 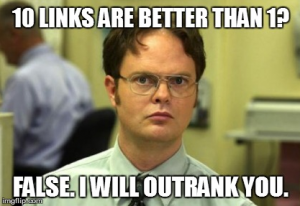 Take it from Dwight Shrute, 1 link can easily outstrip 10, so look out for that Usain Bolt link, it is out there. 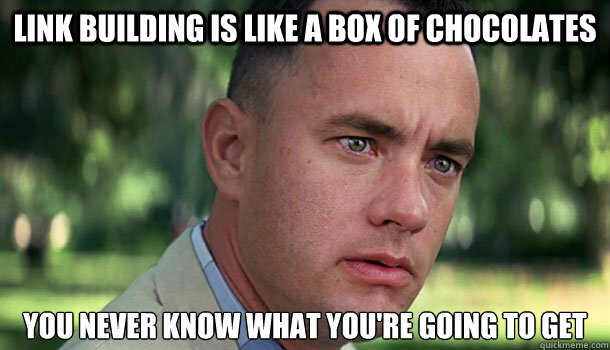 Give Jenny all your love and make sure you pick the best chocolates in the box first. Quality content and deep linking go together like PBandJ. If you do buy links make sure they're from a reputable source and check the pages and sites yourself. You've been warned. Sigh, almost everytime I've started work on a new site. 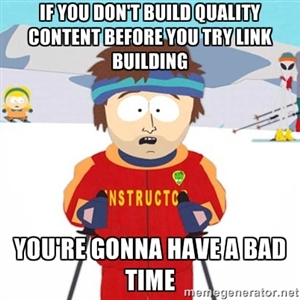 I've had to do pest control, getting rid of spammy and low authority links holding your site back. 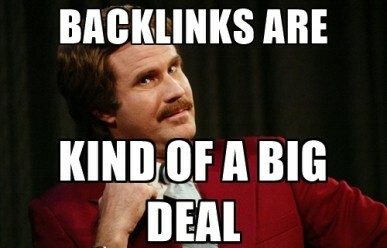 Not cool, make sure you leave a backlinking profile worth building on, it's only fair.